SENIORS! 2019 CSA College Scholarship Applications now being accepted! Click here to be taken to the application section of the site to see what you'll need to complete your applications. Applications deadline is midnight April 28th. Winners will be awarded one of two $2000.00 scholarship checks at our Annual General Meeting on May 1. Late registrations are pooled and assigned RANDOMLY as needed to teams when possible. Not all late registrations can be accommodated. You'll hear from your coach about practice times and game schedules AFTER our Coaches Meeting in mid-January. League play starts mid-February, schedules posted the week before that. Note that U15+ starts 4 weeks later due to High School Soccer. Evolution Academy and Select Programs are handled separately. If you are interested in Evo, and are not already in touch with our coaches, please check out the Evolution Home Page for more info. President's corner... Welcome to Spring Soccer! But it does feel a lot like Winter Soccer thus far, doesn't it? Thank goodness it's looking up for the balance of the season! Opening day was postponed a week due to water-logged fields (we won't risk your kids' ankles on too-soft turf, and don't want to destroy the turf, either! ), and last saturday was a character-builder, with temps hovering close to the pont that each of us decide to go see a movie rather than bring our kids out to play. And the misty afternoon didn't help. Interestingly, the majority of stories I hear following an opening saturday like this past one are along the lines of, "We bundled up, we showed up, we supported our team and our kids learned a great lesson about teamwork and dependability." Rare is the email or text which reads, "What were you thinking, asking us to play on a day like this?" But I do sometimes get a few of those. In the end we each as parents decide what's good for our kids. My kid will play bare-legged in a blizzard, against my wishes, but at 16 years old my input on how she approaches the game is nearing it's end. What I've learned from watching her, in her play, her preparation and in the active role she's taken to drive her own development in the sport, is that if I did it over, or when I bring my grandkids out, I'd prefer to risk a cold 45 minutes and owe a kid a hot chocolate for their superb effort than decide for them that they aren't up to the task. That's me. We all have a decision to make at times like that, and no two kids, and no two parents are alike. Do remember, when the fields are open and play is on, CSA, Evolution and your coach would prefer all players take part in every game. When temps drop and hover near or at our stated minimum, we all have some soul-searching to do. As a reminder, CSA's bylaws state that we cancel all games and practices for younger kids in U4-U8 leagues if temperatures fall below 40 degrees. There is no hard and fast rule for older kids, since historically those ages have played in the Northern Mid Cities Soccer League and no such rule exists for League, which is made up of 15 area soccer associations including Colleyville, but stretching from North Fort Worth to Lewisville and south to Bedford-Euless over to Eagle Mountain. But in the end it's up to every kid's parent to know what they're capable of. A few will opt out of colder weather play for their kids, and as much as we'd like to see everyone play, we support your decision, parents! We do ask that you inform your coach so she/he will know if there will be enough players to field a team. But this coming weekend is looking like a study in opposites, with temperatures Saturday approaching 70 degrees, we're looking forward to a great day of soccer! On another note: your coach has likely already shared with you that we're struggling a bit with practice field space after a light pole fell out at Pleasant Run practice fields, and another was apparently close to falling, so until the area is safe for our kids, we've had to compress practices to a smaller space. Coaches and teams have done a wonderful job of working together and sharing appropriately, all the things we hope to teach our kids through youth sports, and that's really nice to see. We feel strongly that this will likely last all season, but postively should be solve by next season, Fall 2019, and in fact, watch for signups for that season to open in May! 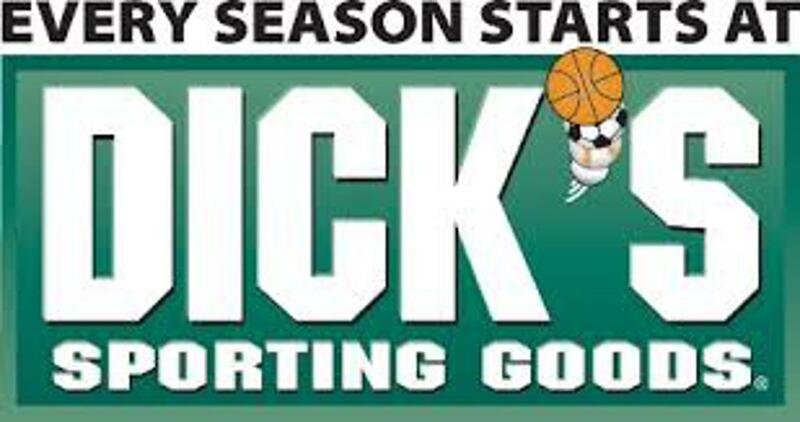 Remember that the only way to ensure your child is returned to their team is to register BEFORE teams are created, which will take place in EARLY AUGUST, so even Fall Soccer feels a bit like Summer Soccer given the lead time needed to make the season happen! The Board of Directords of Colleyville Soccer is always looking for new and better ways to make the soccer experience better for all of our kids, and for the few parents who play Adult League soccer with us! You've noticed new portable lighting units appear on our practice fields last season. We are lighting up more of our practice fields than ever before to help alleviate the crowding we have in the lighted areas of that field. We think that in the next year we'll see those portables moved farther down when we get new permanent lights in place to cover that area. A special thanks to all the parents and coaches (and players!) who came out to change soccer nets on all our goals last season! That took place on August 25th and as a result of so much help, we were done in only 2 hours or so! Isn't it time you considered joining our Board of Directors, so that you can put your thinking cap on and help make the future sports experince in Colleyville even better for YOUR and all our kids? Contact me. Now. President@ColleyvilleSoccer.net. We'd love your input! Thanks, all! Have a great season! Thank you Mallory Carr, our 2017-18 COTY!!! This is the annual award honoring a volunteer selected by the Board of Directors -- we are looking for the person who selflessly DO IT RIGHT, who put their kids first, and who creates a team environment that fosters teamwork, fair play, hard work and above all, character. Do you think your coach should be considered for the next Coach of the Year award? Click here to contact our VP of Marketing and put in your pitch for your favorite CSA Coach! Calling all soccer refs: Colleyville wants you! 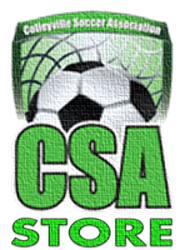 CSA is seeking both youth and adult referees ages 13 and up. Earn on average $18 to $65 per game officiated! based on your age and referee certification level. Work your own schedule! Be an expert on the rules of the game! Earn the respect & admiration of your peers! Great exercise! Share soccer with your kids or friends! Contribute to your community! Helps develop character & sportsmanship in youth and builds better coaches and players. We want you! Interesting tidbit: Every CSA college scholarship winner for the past 6 years has been a ref in addition to a past player! Re-certification of existing referees is accomplished by an online test found here. Initial certification as a referee is accomplished by successfully completing an online review of basic rules and either a 5 hour (Grade 9: U8 and below games, min. age 12) or 8 hour (Grade 8: U15 and below games, min. age 13) clinic. Local clinics are scheduled on weekends during January and August. Clinic info & registration can be found on this page. For additional information on becoming a referee, go to www.ntxsoccer.org, or contact our VP of Referees at vpreferees@colleyvillesoccer.net. Field status updated no later than 4pm weekdays, 7am weekends when games are scheduled, with subsequent updates when/if conditions change. If status is 'Pending' then check back later. The Coaches Resource Manual tells you everything you need to know, from Key Dates on the calendar, season holidays, Monday Night Futbol dates, to how to register your assistant coach, how to order uniforms in the FALL, and so much more. It's searchable, reachaable from your mobile device, and being added to all the time! SCHEDULES WILL CHANGE THROUGHOUT THE SEASON! Always check your official schedule online every week. Most Evolution Academy (U6-U10) teams play in NTPSA's league on Sunday afternoons. Several Evolution teams play in the TCSL including 08G O'Neill, 09G Boyle, 10G Boyle and 13B Scannell. Evolution 00B Scannell, 03B Donnelly & 08B Struminskyj play in the most competitive boys Select league in North Texas. Evolution 04G McMillian & 08G Boyle play in the LHGCL, the most competitive girls Select league in North Texas. Many Evolution Select (U11+) teams play in the PPIL. Click Here to visit the CSA Store! These fine organizations make what we do possible. Please show your support to these amazing sponsors and thank them for their commitment to our organization. They support youth sports in Colleyville in many ways: with financial contributions, by offering fundraising opportunities, by contributing their own time to CSA, or by providing facilities we use for our board meetings, coaches meetings, photo shoots and training sessions. When you drop by, be sure to mention you're with CSA, and thank them for helping make your child's youth sports experience wonderful!